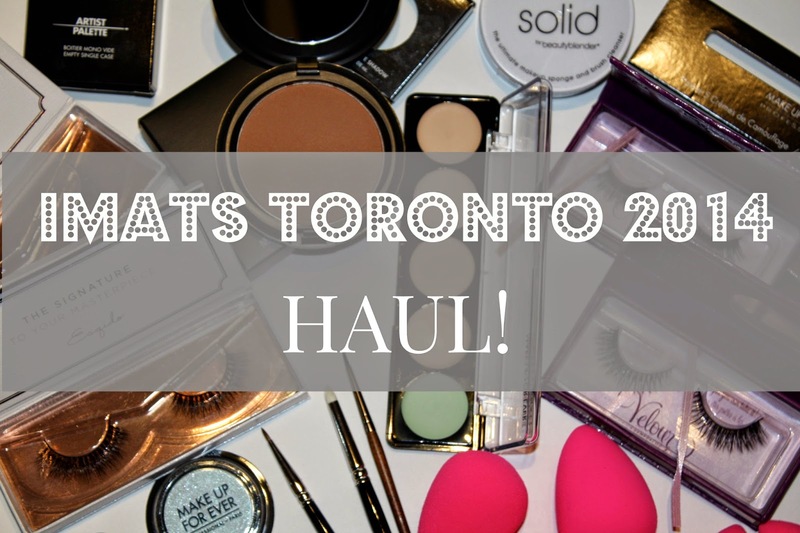 IMATS Toronto 2014 Review & Haul! Two weekends ago was my first time attending Toronto IMATS! As I had never been before, I was excited but hesitant, not knowing what to expect. But, I have to say I was pleasantly surprised! 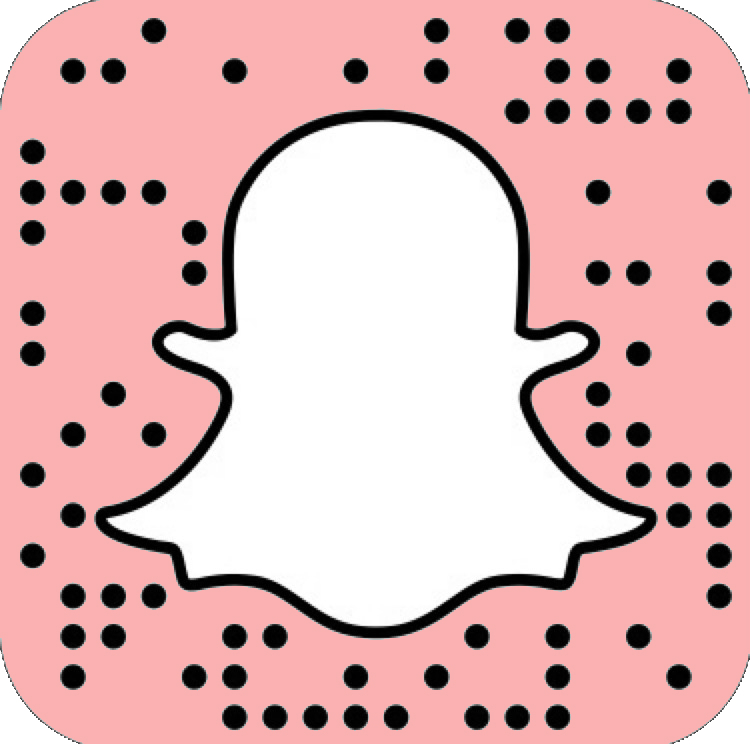 If you're not interested in my experience, scroll down for the haul! Firstly, it was smaller and less chaotic than I thought, probably also due to the fact that I was there before it opened on the first day (Saturday). Among the vendors were: NARS, MAC, Make Up For Ever, Hakuhodo, Velour Lashes, Esquido, Beauty Blender, and several others. I brought my mom with me so we could split up and hit more booths in less time. We arrived around 8:10 and were able to walk right in at 8:30 when the doors opened. I had made a list of what vendors I wanted to go to and what I wanted to purchase from each, as well as how much each item regularly costs so I could know how much of a deal I was getting (I'm super organized like that). I immediately made a beeline for Velour lashes and purchased what I wanted, while my mom headed to Beauty Blender. After Velour I wandered around for a bit and debated buying some very inexpensive Morphe brushes (decided against it). The MUFE booth was getting pretty busy by this point, so I quickly placed my order with them and got in line. While I was waiting my Mom went to MAC, which ended up being a bit disappointing because either they were sold out of the blot powder and prolongwear concealer or they were sold out within minutes. Afterward my Mom took my place in the MUFE line so I could continue shopping. Collectively (haha), we ended up waiting in line to pay at MUFE for probably an hour. In the meantime I hit up Hakuhodu, the one vendor I hadn't planned out my purchases for, and Esquido. We left around 9:45, but most of that time was spent waiting at MUFE! If you're going to purchase a fair bit, the ticket price is definitely worth it. If you've never been, I highly, highly suggest making a list and going to your most important booths first to ensure you get what you want. I waited until the end to go to NARS and they were sold out of what I wanted, but they were also a bit disappointing because the only discount they were offering was $10 off a $75 purchase. This may seem like common sense, but you're going to need your energy (especially if you go first thing in the morning)! We had a small breakfast and coffee (!!) an hour or two before we got there and were absolutely starving by the time we left. At the very least, pack a granola bar. This is probably the most important in my opinion. You can view which vendors will be at IMATS before you go and make a list of which vendors you want to go to and what you'd like from each. When you're there looking at thousands of products it's easy to forget what you originally had your heart set on. Had I not double-checked my list while I was there I would have forgotten some of the things I really wanted. If you don't know how much products retail for, you won't know if you're getting a deal or not. Every booth I purchased from took credit, but some had minimum limits, so if you only wanted one thing you'd be out of luck. Like I mentioned above, Velour Lashes was the first booth I hit. They had all their lashes out so you could see and touch them all, and everything was discounted from $35 to $20! I purchased 'You Complete Me' and 'Extra Oomph.' I kind of regret getting Extra Oomph, only because I originally thought I'd be able to wear them on their own, but now that I've looked at them I think I'll only be able to layer them over another pair of lashes. At Esquido I picked up 'BFF' and 'Lashlorette.' I originally had wanted BFF and Unforgettable, but the girl in front of me purchased the last pair of Unforgettable! So, I settled for Lashlorette instead. Esquido was also discounted. I can't remember the exact amount but I think it was similar to Velour. These were also extremely hard to photograph because of the metallic background in the lash box. I was only able to get the bronzing powder (in Golden) at MAC, although my mom purchased it so I didn't get to see the booth. The receipt showed a 'student discount,' I think it was around $6 off. I wasn't planning on purchasing anything from Hakuhodo but got sucked in by their softness. I wish I had made a plan in advance. I would've purchased some additional brushes had I been able to think it through. I ended up with J007 (horse) and H2889 (horse; I'm 99% sure that's what it is, I threw out the plastic with the label on it). These are actually my first Hakuhodo's! I don't think there was a big discount on these (if at all), but they had some special sets at cash - gorgeous, but still quite expensive. I restocked on my beloved camouflage concealer at MUFE, though I was disappointed they didn't have the individual pots. I also picked up the 250 extra fine eyeliner brush and an artistry shadow in D200 and palette. There was a pretty good discount at MUFE, the concealer was about $12 less, and the eyeshadow about $4 less. Finally, Beauty Blender was my ultimate deal of the day. I purchased six beauty blenders and a solid cleanser for $60! Suuuuch a good deal. And yes, all six are for me. Purchased at a normal retailer it would have been at least $125 CDN.